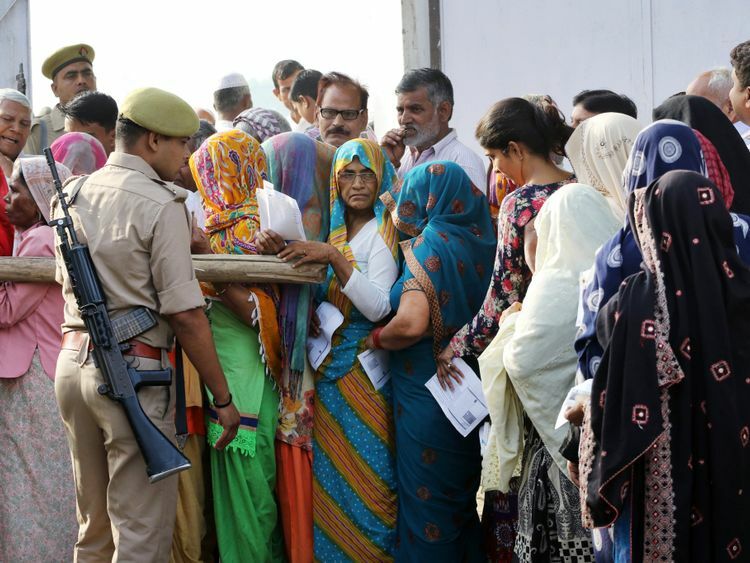 Indians began voting yesterday in the first phase of the world’s longest and most expensive elections till date — casting their ballots to elect lawmakers for the next lower house of parliament as well as some provincial governments. More than 900 million voters are eligible to vote in what has been billed as one of the most crucial elections of recent times. Along with regional issues, the election is seen as a referendum on Indian prime minister Narendra Modi, whose Bharatiya Janata Party (BJP) rode on a massive wave of popularity five years ago to form the first majority government in decades. Despite that mandate, and Modi’s advocacy of strident nationalism, a muscular foreign policy and pro-business reforms, the party has met with great resistance from powerful regional parties and a resurgent principal opposition — the Congress party. In addition, a string of communally polarising incidents and a constant torrent of invectives by some BJP leaders and their allies against mainly Muslims and other minorities in Hindu-majority India, a growing jobs crisis fuelled by the inability of the Indian economy to create formal employment, and plunging incomes in the debt-ridden farming sector have all coalesced to pose formidable challenges for Modi in his bid for re-election. The Congress party and its chief Rahul Gandhi have made this disenchantment the centrepiece of their campaign, along with a focus on social policies with a pledge to pay the poorest fifth of the country Rs6,000 (Dh319) per month. But this six-week celebration of democracy in India is about more than a mandate for Modi or Gandhi. Critical to the result will be the performance of India’s powerful regional parties — who might well hold the key to forming a government in the event of neither Modi nor Gandhi securing a clear mandate. Some of these parties have set aside ideological and personal differences to form unlikely alliances aimed at limiting the growth of the BJP in their states. An alliance of the two main regional parties in Uttar Pradesh, for example, is expecting to dent the BJP’s returns in the crucial northern state — from where usually the prime minister is voted to power. But irrespective of the verdict on May 23, the key for the next government should be to take India to the next stage of genuine progress and inclusivity — ensuring they carry along all sections of the society and build on India’s relations with its friends and neighbours to make the world a more peaceful place.